Hi friends! I hope you are having a wonderful weekend! I'm trying to sit back and get better. The kids seem to be doing ok. I'm not really ready for the weekend to be over though but are we really ever? 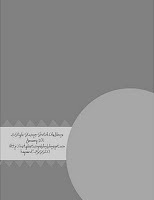 Are you ready for the first In Style Stamps sketch challenge of 2011? You still have until the end of the month to play along and there are prizes to be won! You can check out the details on the challenge HERE. I've attached the sketch here for you to see. It didn't turn out exactly how I planned but my measurements or lack there of kind of threw me for a loop. Live and learn, right? 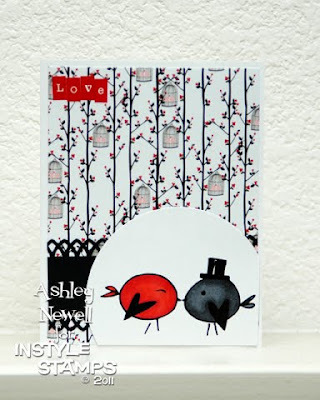 Here is my card using Kissing Birds. Isn' this a sweet little Valentine's image? I think it's fabulous for weddings and anniversaries too. Have a great day everyone! I hope the rest of the weekend is amazing for you! This is just to adorable. TOO CUTE for words!! LOVE THIS!